Scientists were amazed by their latest exoplanet discovery, one that revealed a solar system just like ours. Scientists have recently spotted a solar system that is uncannily similar to our own. Because of this, they are hoping that this will provide new data about the possibility of extraterrestrial life or even the evolution of life on Earth. The star system was discovered by NASA’s Kepler space telescope. Artificial intelligence (AI) developed by Google analyzed data from the telescope and determined that this particular system, which is about 2,500 light years away from us, holds some similarities to our own. 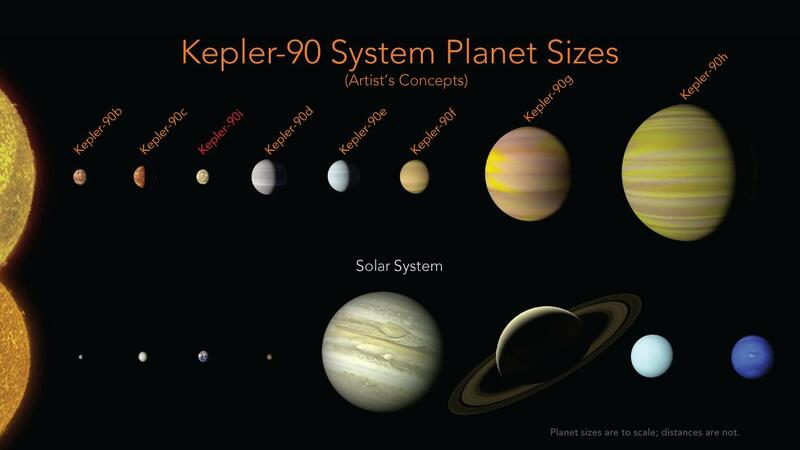 Dubbed the Kepler-90 solar system, this, just as ours, has eight known planets. It also has a sun similar to our own. Likewise, it has its smaller planets closer to its star while the larger ones are farther away. The first planet to be discovered was Kepler-90i. This was determined to be extremely hot. It also appears to have a very short year, orbiting its sun once every 14.4 days. Data from this exoplanet was used to extrapolate the rest of the star system. Scientists have been discovering more and more exoplanets in recent years. An “exoplanet” is defined as being a world beyond our own solar system. One of the biggest goals of most researchers is to find particularly Earthlike planets. They are looking for these either on the assumption that they are more likely to support life. Or perhaps because they are places that could conceivably be colonized at some point in the future. From this discovery, people should note that there is much that the Kepler telescope can show us both in our universe and others. It also shows that even small amounts of data can yield significant finds.